Let us try to help each other by sharing dealers that are willing to sell the Civic Type R At or Below MSRP. *Please use this list of Civic Type R Non ADM Dealers only as a reference as we cannot guarantee the information is accurate. What is ADM? ADM stands for Additional Dealer Markup, which is the amount dealers charge over MSRP. Currently the base MSRP is $33,900-$34,775. I just picked mine up Thursday and my dealership was amazing. It was Roper Honda out of Joplin, Missouri, and they sold at MSRP. They even ordered us a couple of T-shirts, gratis. Hello my name is James and I am with Apostolakis Honda in Cortland Ohio. We have a 2018 Honda Civic Type R in white available at MSRP! do you still have it james? Also on another note, a few of the dealerships in maryland are not offering at MSRP as of the past 2 weeks. I think I've contacted every dealer in maryland now and they are all doing at least a 5k mark up. I bought my last 2 honda at Criswell, and got my wifes lease from them as well, and they tried to mark me up over 10k, wasn't too happy about that. Anyone know of the closest place to MD that will offer one at MSRP? White preferably. All do not sell the CTR at MSRP. Some were $5K ADM, others were 'give me your best offer.' Downey has 5 CTRs in-stock and in every color, but expect you to spend $40-50K OTD. 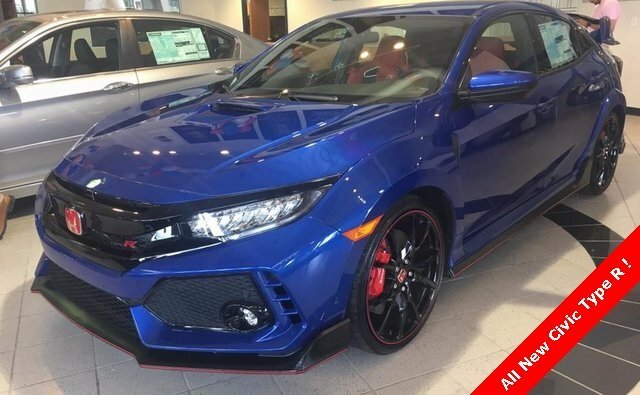 Walser Honda in Burnsville MN has a Blue 2019 Type R for MSRP, and a Black 2019 in transit for MSRP too. We're selling a Sonic Gray one in Minneapolis for MSRP. Get the new color! Bought mine in Feb. 2019 CTR Aegean Blue from Honda Downey and got it for MSRP.